Founders compete across 12 challenges over three gruelling days for cash, prizes and ultimately the opportunity to prove their investibility to secure $250,000 to $1,000,000 in seed investment. 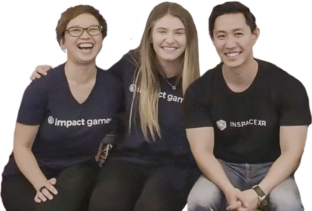 "If your a startup thinking about raising funds in 2019/2020 then you should apply to The Investible Games... An intense 3 day bootcamp challenge with 12 startups. You’ll learn more in these 3 days about your business and yourself than in 6 months. A lot of fun, incredible founders and a team of investors / educators that care about you. Apply Today to get you on track! A must for all startups!" "The Investible Games are awesome! It took the breadth of content of an accelerator program, tested numerous factors for investor due diligence, and packed it into 3 days in a way that was both competitive and fun! The outcome provided CASH and numerous value add for founders and their startups. If you are willing to bet on yourself then I highly recommend to apply! We loved it! There is no cost, Investible do not take equity for teams that are selected to participate in The Games. We openly invite our Investment Committee and our Club Members, VC's, ecosystem players, and mentors – in the past there has been representations from Airtree, Blackbird, and Impact Ventures. Yes! Teams are limited to two people so you will have to decide which two if you have more than two co-founders. We ask that all sole founders bring an advisor or friend to ensure they aren't at a disadvantage to the other teams that have two people. How Much Does The Investible Games Cost? What Investors Will Be At The Investible Games? What If I Am A Sole Founder? If I Am Selected For The Investible Games, Can I Bring My Co-Founder? The winning participant will receive a 12 month founder support package with Investible worth $18K, and up to $10K in cash over 3 days. Prizes also include investor meetings, partner inclusions, and coaching together with attendance at the popular Investible Bootcamp. Not only are selected applicants eligible to undergo the Fingerprint for Success (F4S) founder attitudes and motivations tool they also participate in our Investibility Masterclass. Over the three days, you will meet with some of the most dynamic startups, a broad range of corporate innovators, senior executives, tech and design experts together with industry leaders. All participants will receive a comprehensive report on the startup activity in their sector. Industry experts from your sector will be on-hand to provide feedback and direction.